Blending experience and expertise, our attorneys have established a solid track record of handling complex commercial litigation, Business litigation, class actions, settlement negotiations and appeals. 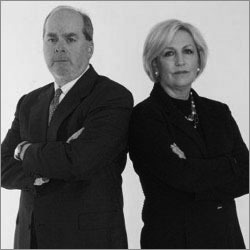 Richard and Sonya Coffman are also Certified Public Accountants with significant real world financial and management experience, which allows us to provide our clients with an uncommon level of expertise. We are committed, focused and know how to win. We practice law at the highest level and only represent clients for whom we believe we can truly make a difference. We treat our clients as partners in the litigation process and represent them aggressively and creatively with honor, integrity and respect. Availability and personal attention are important. Absolute confidentiality is an integral part of our practice.